"They pause in moments of crisis, swell in moments of pride, beat strong when needed to endure, pump softly in quiet and peace. They thump in fear and anxiety, and staccato to the beat of love. Each of us is an individual with an imperfect heart that is both unique and capable of great love. 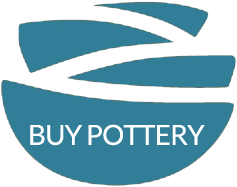 © "
Imperfect Hearts were born from the clay studio of Dreams to Reality Pottery. 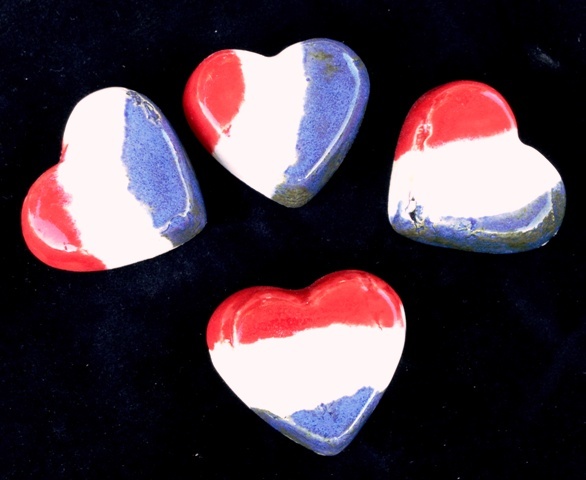 The original clay firing test pieces inspired the poem and have now become keepsakes. They have grown in popularity, as imperfect hearts tend to do. 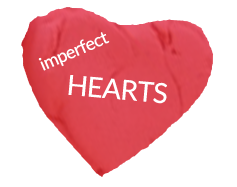 Each Imperfect Heart comes packaged with the Imperfect Heart© poem shown above. They have become the perfect token of friendship, gratitude, appreciation, and LOVE! Perfect to share and give as a reminder of friendship, gratitude, appreciation, love or whatever it is you may want to convey to another person. 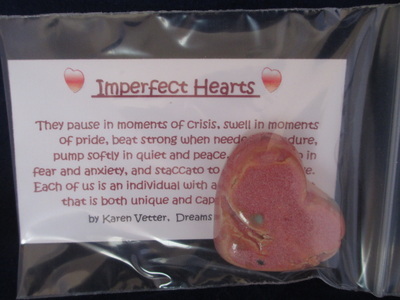 Order a set of 2 Imperfect Hearts for just $13. 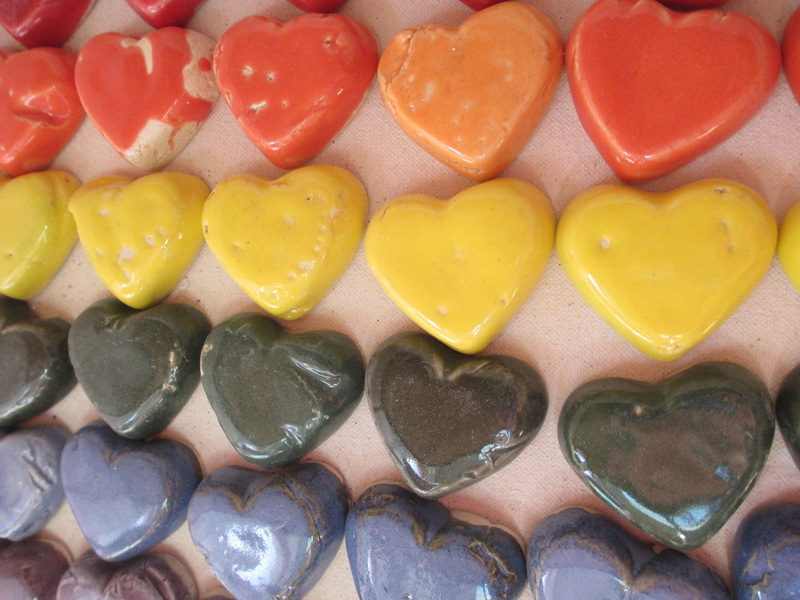 We will add a magnet to each heart for no additional charge. Show you care for someone in your life each month for one full year! Send someone special you care about the Heart of the Month Club. 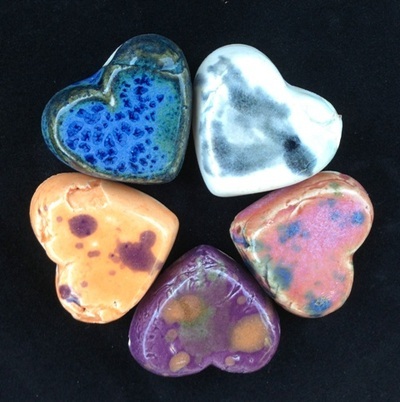 Each month the person you choose will receive one handmade individual heart and one handmade individual heart with a magnet. Each package mailed includes a special Heart of the Month poem written by Karen Vetter, Artist and Poet. Each poem reflects the imperfect heart and soul of each month of the year. Individual Heart Heart of the Month Club is just $99.95/year -- BEST VALUE! (That is just $8.33 a month including shipping). Give a gift from your heart to someone you care about.